We humans are good at figuring things out. We’ve figured out why apples fall down instead of up. We’ve figured out that objects are made up of tiny particles, bound together by forces so strong that to break those bonds unleashes energy of a great and terrible kind. We’ve figured out that even the deadliest animals on the planet contain secrets we can use to cure diseases. We can figure all these things out, but there are mysteries that resist even our intelligence and inventiveness. One of those mysteries is what makes our parents tick. In The Origins of the Universe and What it All Means, Firstman, herself the offspring of a scientist and a college professor documents her own inability to fathom the intricacies of the parent-child relationship. There’s a rich irony in that lack of correlation between the formal knowledge and skills we develop over a lifetime and our ability to maintain the most basic of relationships with others. Firstman is well aware of that irony. Her father, an expert on scorpions, required his wife to live in a tent in the garden when his first daughter arrived. The noise of the baby, he felt, would distract him from his studies. As an adult, long estranged from him Firstman gets a call. He wants to reconnect with her. Why don’t they take a trip together? She agrees, both curious and ready to bridge the gap between them. They drive to the desert with the goal of visiting some cave paintings. During their walk to the site, her father mentions that she should watch out for sidewinder snakes. They have a habit of burying themselves in the sand to keep cool, he says, so spotting them can be difficult. Don’t tread on any humps, he says, then strides off leaving her behind. Memoir – and in particular misery-mem – has shown a remarkable growth in popularity over the past few years. Tales of dysfunctional families and weird upbringings seem to fascinate us, some because they strike a common chord (in the most recent edition of The Liars’ Club, Mary Karr talks about the outpouring of responses from people who felt she had captured their own childhood in her book), some because we like to watch car crashes from the safety of our armchairs. But as the genre has taken off, it has also matured, going beyond the soap opera of some of the early examples and into more intellectual, more literary territory. In other words, memoir has gone meta. In Firstman’s case, meta means playing on that conflict between what we know and how we act. In the telling of her story, she takes regular excursions into science, almost as a defensive manoeuvre when emotional pain builds. When her mother is felled by an aneurism and two strokes at the relatively early age of sixty seven, Firstman interweaves the trauma of her mother’s illness with an exploration of the sheer improbability of any one of us being alive at all. At an emotional level, it might seem agonizingly unfair that an intelligent, vital woman should end up in an assisted living facility drinking her lunch through a straw, but at an intellectual level we ought to be happy she beat the incredible odds against coming into existence in the first place. This dichotomy – our emotional responses at odds with our intellectual ones – is the theme Firstman explores, sometimes to fabulously comic effect. On a journey to the Amazon with her mother, Firstman plunges into a river for a swim. For a moment, she luxuriates in the coolness of the water on her skin, in the wonderful sense of the exotic, right up until the facts crowd in. There are sixty species of piranha in the Amazon. There are caimans and electric eels and tiny fish that crawl up your urethra. Intellect destroys the sensation of pleasure. On a night trip in a canoe, the guide removes a baby caiman that has managed to find its way into the boat. Firstman knows the little snapper is harmless, but almost capsizes the craft in her attempt to stay away from him. Sometimes emotion gets the better of our rational selves. There’s a balance to be struck, Firstman tells us, in her mixture of reminiscence and science, between what we know and what we feel. We spend our whole existence trying to connect the emotional with the intellectual – to reconcile the facts about our parents with our experience of them as people. If it’s an endeavour in which we never quite succeed, that doesn’t mean it’s not worth the energy, especially if you attempt it as entertainingly as Firstman does here. This sounds fascinating. I love memoir and especially memoir that resonates with common human experience. 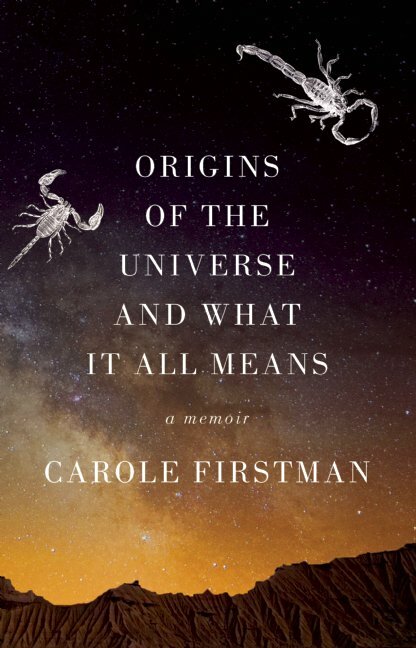 It sounds like Carole Firstman explores some existential mysteries. Will add this to my To Read list! 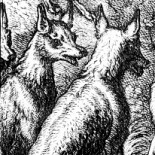 A review of my book from Vulpes Libris. Thanks! How many adults wonder how they were entrusted with the responsibility of parenting? To admit reluctance, is likely taboo to mention – I look forward to reading how the family all coped with one another. Thanks, Nancy! Hope you enjoy it. This entry was posted on June 17, 2016 by cathmurphy in autobiography, Entries by Cath and tagged Carole Firstman, dzanc books, memoir.